Let’s first learn more about VPS before we understand why VPS hosting is ideal for growing websites. A Virtual Private Server (VPS) is one of many virtual servers that are created on a single physical server. It’s like shared hosting because you only occupy a part of the physical server for yourself. However, you receive far more resources on VPS than you would on shared hosting. Each virtual private server can run its own operating system, unlike in Shared Hosting, giving you more freedom to install any apps that you might need for your website. Even though VPS lives in a shared environment, the performance is not affected by the activities of other users. 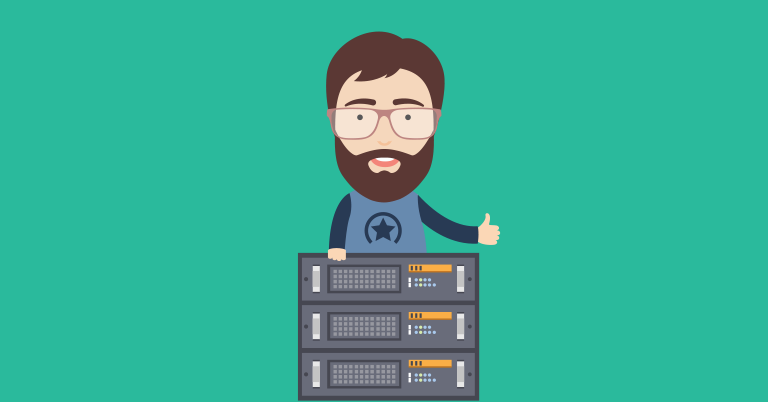 We wouldn’t be wrong in saying that VPS hosting is like a mini dedicated server. Cost-effective: As your website grows, you need to ensure that your spends are highly cost-effective. Investing in shared hosting when your site has already outgrown it will cause performance issues on your website. Similarly, overspending on a Dedicated server when your website has not grown to that extent will end up burning your precious money. Therefore, VPS hosting would be ideal as it is a midway solution, both in terms of resources and expense. Complete control: Since a VPS is independent of the other VPS hosting accounts sharing the same physical server, you get complete control of it. You get the entire Operating System for yourself that includes complete access to files and resources. It is an excellent platform for developers to explore their full coding potential and also to test their applications. With shared hosting, you are restricted to the configuration that has been set by the hosting provider. High availability: VPS is virtual and doesn’t have any physical components of its own. As a safety measure, most hosting companies will back up your VPS as a server image. In case if the server on which the VPS is hosted goes down, the image can be quickly rebooted on another physical server. This will ensure that all your essential applications and your website will always remain online. Dedicated resources: The biggest challenge for shared hosting users is that if one user ends up using a resource intensive application or is receiving a lot of traffic, then other shared hosting users in the same physical server get fewer resources to work with. This means that some applications may not work or websites could experience slow load times. This is not a conducive environment for growing websites, especially business websites. With VPS, a physical server is also shared, however, each VPS is allocated dedicated resources that can’t be utilized by another VPS. Better security: If you’re a website owner especially an e-commerce website you understand the importance of security. When compared to Shared Hosting, VPS hosting is more secure. You can rest assured that your website and data are entirely safe when hosted on VPS hosting. That’s because your data is stored separately from those of other VPS users. Even if another VPS account gets infected by malware, it’s next to impossible for it to affect your VPS account. At HostGator, we take extra measures to ensure all our hosting products including VPS hosting are updated and protected. VPS is a real boon for website owners who want that flexibility of a dedicated server at a reasonable price. You can upgrade to one of our VPS plans in a matter of minutes. If you need any assistance, please feel free to chat with us.